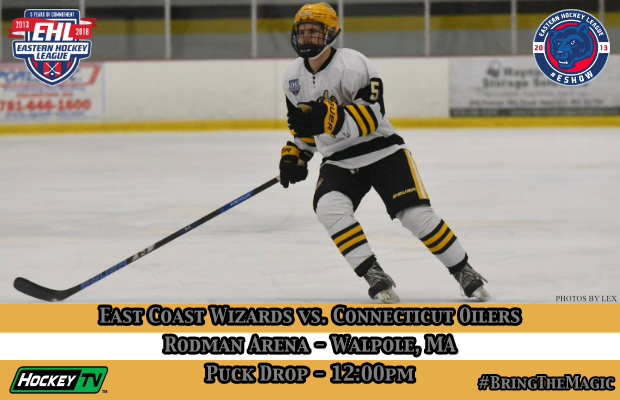 BEDFORD, MA -- The third EHL showcase is set to start this weekend at Rodman Arena, where the Wizards will look to put their two-game losing skid to an end against a pair of South Conference opponents. Going into the showcase the Wizards still sit in 3rd place in the tough Boston Division with a record of 16-13-0. On Sunday, the Wizards will face off against the New York Bobcats Royals at 1:30pm. This will be the second and final matchup between the two teams this season, with the Wizards losing the first matchup on the road at the beginning of the year. The squad will return to action the very next day for a matchup against the Connecticut Oilers. This will also be the final game between the two teams this season, with the Wizards taking care of business back in October, beating their Central Division opponent by the final score of 3-1. 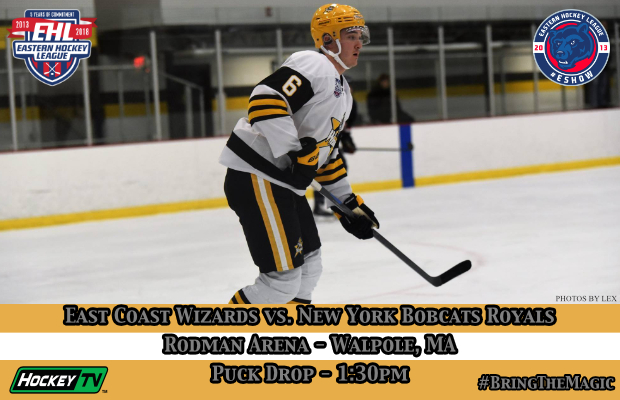 Catch all the action live on HockeyTV, and be sure to follow the Wizards on social media (Facebook, Twitter, and Instagram), for all the latest news and updates. ©2019 East Coast Wizards / SportsEngine. All Rights Reserved.